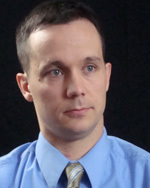 Seth Tupper was named editor of The Daily Republic in 2010. Before joining the newspaper in 2003, he worked nearly two years as the sports editor at the Worthington (Minn.) Daily Globe. Tupper earned a bachelor’s degree in journalism with a political science minor from South Dakota State University. While at SDSU, he was editor of SDSU’s student newspaper, The Collegian.